How to use CBAY Handy Baby to Copy and Read Write 46 chip ? Step 1. Turn on the machine and go to main menu , use “up” and “down” button to select language of English. Step 2. Read chip data of Original key as above picture shows. Step 6. 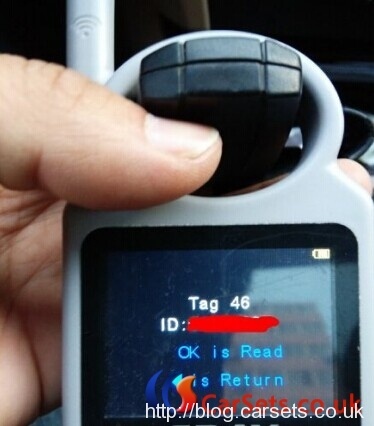 Put the OEM key into signal coil to decode. Step 7：If it shows “Crack ok” as above picture shows, then decoding OK, the key security code have been calculated. Step 8. Put clone chip into signal coil area, press “OK” to copy. Step 9. It shows “Copy OK” as above picture shows. If you want to copy more keys, just replace new chip and press ok as step 8. If finished copy, press left button to quit. 2. Select chip mode: move mouse cursor to “Mode”, I.E “Plaintext mode”, press “OK”, the fonts turn black from white to indicate the selection mode, press “Up” and “Down” to select the Plaintext mode or password mode. 3. Enter password: move cursor to the password box under the mode, press “OK” to proceed, press “Up” and “Down” to select the data (0`F), press “Left” and “Right” to transfer password. 4. After finish press “OK”to exit, then move cursor to “Read all” to read out data. How to read write MED17 EDC17 with FVDI? 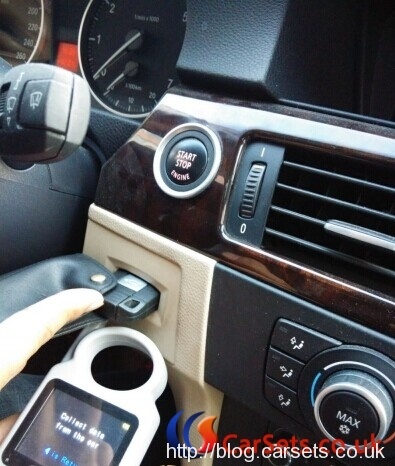 How to Setup New Genius K-Touch Map Device to read write ECU ?